We are the Scottish Interfaith Group on Domestic Abuse. We are people of faith who wish to raise awareness about domestic abuse and the effect it has on families. Our message would always contain hope as help is available when the person in the situation is ready to leave. One of the ways we have raised awareness over the years is with a shoe exhibition where each pair of shoes represents a person who was hurt or who died through abuse, or someone who stands in solidarity with them. Each pair of shoes has a comment from the person who wore them. The idea for the film came from the shoes. Once we had found a local filmmaker and secured funding, it took about a year altogether to complete the project. Paul Mothersole, who made the film, really understood what we were trying to achieve, and worked collaboratively with us and with the many people who contributed their talents and time. We are very grateful to our funders, to all who took part and to Paul, who delivered exactly what we had in mind and more. We hope that this film will have many viewers and provide a useful resource in both raising awareness of abuse and for training purposes. We’re ready to step inside and explore Renfrewshire’s historic and beautiful buildings as their doors open to the public for the weekend. Here’s what’s on over the weekend. Renfrewshire is set to host the UK’s cycling stars of tomorrow when one of the biggest youth cycle races in the country arrives in Paisley next weekend. The British Cycling Youth National Circuit Race Championships will be in Paisley on Sunday 12 July for the first time Scotland has ever hosted the prestigious race. Cycling fans will be able to get a glimpse of Britain’s best youth cyclists, with previous medallists at the event including Mark Cavendish, Geraint Thomas, Ross Edgar and Laura Trott. The action will take place on a course around Paisley town centre, starting and finishing in front of Paisley Abbey and town hall. There will be seven races between 10am to 6pm, from under eight to under 16 level, featuring 350 riders, 81 of whom are from Scotland. The event was brought to Paisley by a joint bid between Renfrewshire Council and the Paisley 2015 group of local cycling clubs. The council has laid on a programme of free family entertainment during the day, including a main stage with live music at Paisley Cross, the 7 Stanes BMX display team, a freestyle footballer, food stalls and giant games and inflatables. Renfrewshire Council Leader Mark Macmillan said: “We are delighted to host this race on its first visit to Scotland and look forward to an afternoon of top-class racing. “UK cycling has had massive international success in recent years and this will be a great chance for Scottish cycling fans to see the sport’s stars of the future close up. “Paisley’s historic town centre will provide a striking backdrop to the afternoon’s action, and we hope a big crowd come out to cheer the young racers on. Martin Mulholland, race director, added: “This is the biggest one-day youth cycling event in the Britain this year, with the best young riders in the UK. “Speaking as a member of a local club, this is huge for us in terms of encouraging young people to take up cycling locally. Bob MacFarlane, ScottishPower National Youth Racing Series Events Officer for Scottish Cycling, said: “This is a great opportunity for the people of Paisley to see top quality cycling. “The very best of Scottish talent have been flourishing in the ScottishPower National Youth Racing Series and this will be a real test when Britain’s most talented young cyclists come to Scotland. “It has been rewarding to watch their development over the course of the season and I have every faith they will be up to the challenge at the British Youth Circuit Championships. “This season has been one of Scottish Cycling’s biggest ever and I have no doubt this will be another great event. “With more than 184 affiliated clubs across the country and more than 650 events to choose from it has never been easier to get involved. [vc_row][vc_column][vc_column_text]Paisley town centre is in the running for a multi-million-pound transformation after the council cleared the first hurdle on a bid for major investment funding. Renfrewshire Council has been awarded £113,300 of Heritage Lottery Fund (HLF) money to develop detailed plans for a large-scale project to restore some of the area’s architectural treasures to their former glory. Almost £2m of HLF money – the joint biggest of 13 awards announced today around the UK – has been set aside should the plans be given the green light. And the total value of the scheme could rise to around £4m, including a council contribution and money from other funding sources. 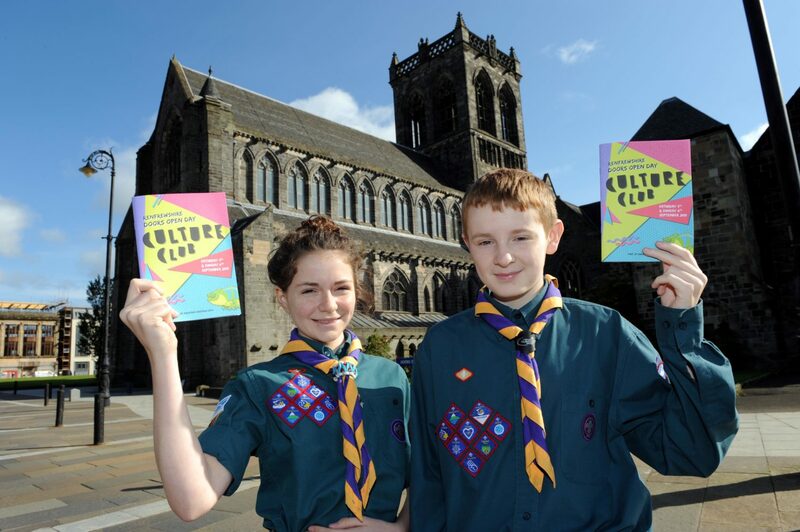 The scheme is part of an ongoing ambitious drive to use Paisley’s internationally-significant heritage and cultural assets to lead a transformation of the town over the next decade. 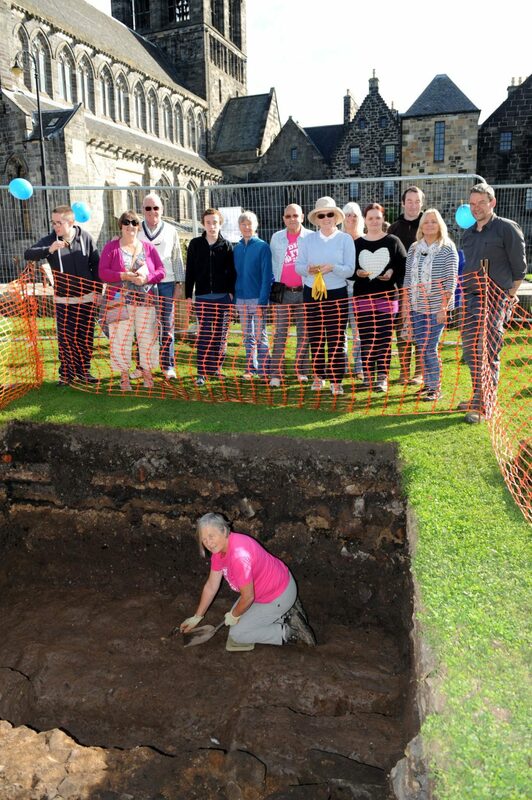 The initial £113,300 will be used for detailed feasibility work on the longer-term plans, and will include repairs to the B-listed walls in Dunn Square. It is hoped the full project will run until 2021 and will see the extensive restoration of historic buildings which have fallen into disrepair, with priority projects having already been identified on the High Street and in the area around Shuttle Street. It will also include a series of community engagement events to encourage residents to celebrate Paisley’s rich textile and built heritage in preparation for the town’s bid for UK City of Culture 2021. The project will build on the existing £3.5m Townscape Heritage Initiative/Conservation Area Regeneration Scheme in the town’s Causeyside area, which has seen public realm improvements and the restoration of shopfronts and other historic buildings, funded by the council, HLF and Historic Scotland. Renfrewshire Council Leader Mark Macmillan said: “We welcome this funding, which will give us a platform from which we can deliver on one of the key strands of our ambitious town centre heritage strategy – now gathering momentum. “Paisley has an architectural heritage worth celebrating, and this money will go a long way towards keeping some of the finest examples of that alive for future generations to enjoy. “The preservation of that heritage is a central part of a regeneration journey which we hope will build on the town’s existing strengths and turn it into a vibrant international cultural destination over the next decade. “Part of that is in helping to increasing the Paisley public’s awareness and appreciation of the stunning built heritage which surrounds them, which will be a key feature of this project. “It will also bring economic spin-offs by bringing town centre buildings back into use, thus opening up opportunities for retail and the night-time economy. “The regeneration of town centres is an obvious way in which we as an organisation can make an important contribution to improving the economy of an area and the standard of living for the people resident there,. 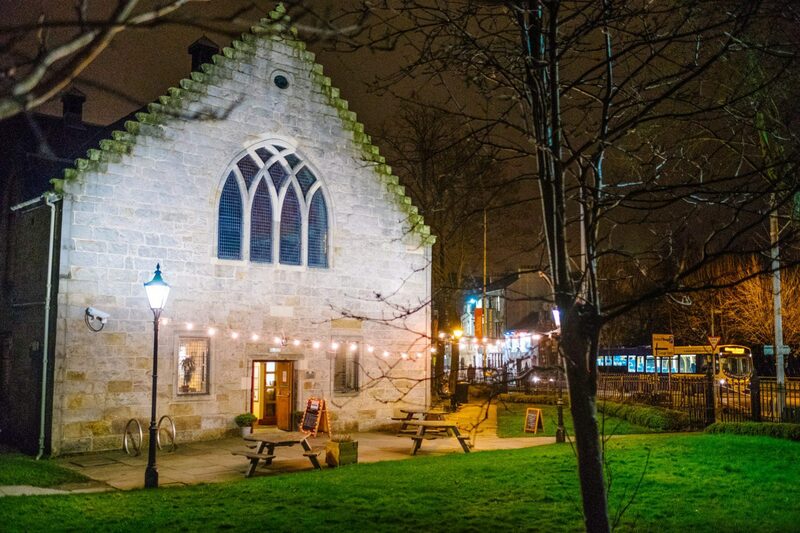 “Investing lottery money to revitalise historic buildings at the heart of a community, not only makes a place more attractive to live, visit and invest in, it also provides jobs and training opportunities for local people. Doors Open Days – First events take place tomorrow! [vc_row][vc_column width=”1/1″][vc_column_text]Doors Open Days – First events take place tomorrow! Scotland’s annual festival of buildings opens up its very first doors tomorrow Saturday 6 September. Angus, Ayrshire, East Fife and St Andrews, Highlands: In and around Inverness, Moray: Lossiemouth, Renfrewshire, Scottish Borders: Kelso and Stirling have hundreds of venues all waiting to welcome you in. And we have created lots of links to Homecoming Scotland 2014’s themes too, from Food and Drink to Scottish Ancestry, Creativity and Culture or Natural and Active resources there is sure to be something for everyone. https://i2.wp.com/www.paisley.org.uk/wp-content/uploads/2013/05/AbbeyInterior120-2008-P.jpg?fit=1024%2C685&ssl=1 685 1024 Brian McGuire https://www.paisley.org.uk/wp-content/uploads/2015/09/paisley-logo-trans.png Brian McGuire2014-09-05 17:02:022014-09-05 17:02:02Doors Open Days – First events take place tomorrow! [vc_row][vc_column width=”1/1″][vc_column_text]Paisley’s visitors now have new signs to help them get around – and Renfrewshire Council Leader reckons they are pointing the way to a better future for the town. The black finger-post-style signs have gone up around the town centre in recent weeks, showing the direction to key buildings and tourist sites. The traditional-looking signs can be seen outside busy locations such as Gilmour Street station, the Abbey and Town Hall, and the University of the West of Scotland. And Councillor Mark Macmillan reckons they mark just a small step along the road to some much bigger plans designed to attract tourists to the town. He said: “Earlier this year, the council unveiled ambitious proposals to transform the area’s future by using culture and heritage to sell Paisley as a destination. “There will be various strands to that – but one of the key ones is in creating a better product for visitors, and improving our tourist infrastructure. “New town centre signage represents a very small step along what will be a very long road over the next decade or so. “But it is the sort of practical everyday improvement we want to put in place while detailed work takes place in the background to investigate how the major infrastructure projects could take shape. “These would include turning Paisley Museum into a national museum of textile and costume, the creation of a Paisley Fashion and Design Centre, and a new 300-seat theatre space in the town. “Along the way we would also look to ramp up the existing programme of town centre events and festivals, ahead of a possible bid for UK City of Culture status in 2021. “We are also working to develop our Discover Renfrewshire campaign, which may already be familiar to residents through signage around the area. “Experts reckon that if the plans were carried out in full they would create 800 jobs and be worth £45m a year to Renfrewshire’s tourist economy. “All of the above would involve the input of the entire local community, and the benefits would extend to all of Renfrewshire, not just Paisley.